"… there is always soma, delicious soma, half a gramme for a half-holiday, a gramme for a week-end, two grammes for a trip to the gorgeous East, three for a dark eternity on the moon…"
In Aldous Huxley's 1932 novel Brave New World, citizens are trapped in a chemically induced state of docility and compliance. Their fictional drug of choice: Soma. Throughout North America and in some parts of Europe today, people are rendered into a diminished state (and killed) by an all too real version of soma: Opioids. The misuse of these powerful narcotics is leading to an epidemic of addiction and death. As doctors and researchers, we want to highlight an often overlooked face of this epidemic —its emergence as a major disruptor within Canada's hospitals. Images of paramedics resuscitating people who have overdosed on the street are common within the news media. But the face of the inpatient opioid crisis is equally sinister and must be addressed simultaneously. 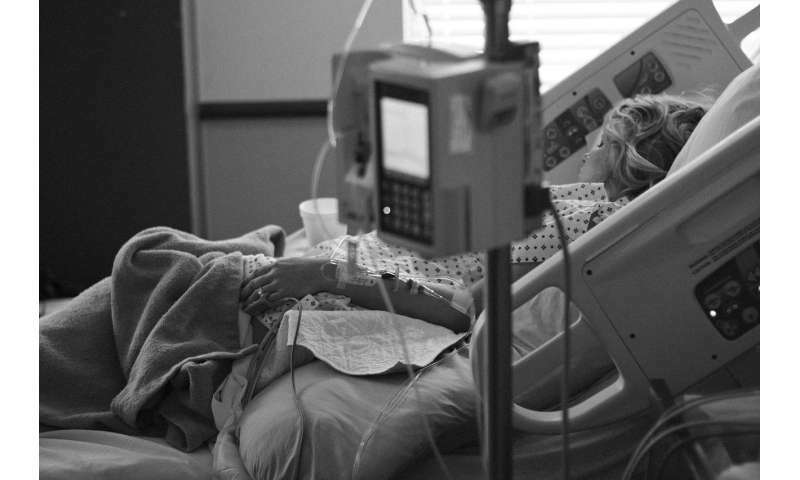 Some hospitalized patients are engaging in extreme behaviours —violence toward staff and other patients, theft and other antisocial actions —that disrupt the care of others and put patients and staff at risk. We are initiating a program at the Kingston Health Sciences Centre (KHSC) called START (The Substance Treatment and Rehabilitation Team). Programs like START can perhaps better handle the inpatient crisis using a dedicated multidisciplinary team of practitioners. Specialists from addictions, family, emergency and internal medicine, along with those from psychiatry, anaesthesia, social work, public health and nursing, work together—to competently manage care of patients with substance abuse disorders and coordinate care with outpatient services. Let's start with one person's story. Crystal was a 29-year old patient who was frequently admitted to hospital due to her diabetes and its complications (kidney failure, blindness). She was prescribed opiates to relieve her pain but over time became dependent on them. Crystal required dialysis and had multiple bouts of sepsis, a serious full-body infection. Her pain was poorly controlled and we believe she lost hope. She was found dead in her hospital bed after self-administering a lethal dose of narcotics. Unfortunately this story is not unique or even unusual anymore. Opioids are responsible for one in six deaths of young adults aged 24 to 35 in Ontario. Almost 4,000 people died in Canada in 2017 from opioid-related causes. And in the United States, accidental overdoses now claim more lives than car crashes. Despite public attention, this number continues to grow. The problem is prevalent across the country. Rural and mid-size communities are affected as well as big cities like Vancouver and Toronto. The causes are complex but doctors over-prescribing opiates and the emergence of new potent forms of "street" opiates have contributed to the crisis. Drugs laced with the potent opioid fentanyl, smuggled from China, often cause sudden death due to a complete cessation of breathing. Over-prescription of opioids by doctors fuels addictions in people that drives them to use these dangerous street drugs. Diversion of prescription drugs and theft or misappropriation of drugs from pharmacies creates a supply of narcotics on the street. More than half a million prescription drugs, mostly opioids, are stolen from pharmacies each year. Within hospitals, patients addicted to substances —notably but not exclusively opioids —are often involved in this drug theft and diversion. Diversion means they move their own prescription narcotics prescribed to the street, often selling them right on hospital grounds. It's estimated that one third of all opioids on Canada's streets result from diversion of prescription drugs. Greed allows these diverted drugs to be laced with fentanyl (which is cheap and powerful) by criminals, and people are dying. While many patients who come to hospital are addicted, health-care providers feel inadequately trained to deal with them. Indeed the medical profession has been slow to recognize that there is a direct relationship between our rate of opioid prescriptions and mortality, even after adjusting for predictors of adverse outcomes, such as age. The overuse of prescription narcotics is not accidental but reflects cynical marketing by certain pharmaceutical companies, notably Purdue Pharma, that claimed potent opioids like oxycontin were "less addictive." Canadian doctors have been slow to recognize this sinister side of pharmaceutical hype. Treating patients' complications from their addictions, while neglecting the root of their problems, is frustrating for clinicians and often feels futile. At the Kingston Health Sciences Centre, we address this issue by working with community partners such as Street Health to offer education and support to staff so they can better understand patients who suffer from addictions. KHSC is also looking at ways to provide additional funding and a more coordinated approach to address addictions. The START team recently surveyed our hospital's doctors and health-care professionals. For one month they collected reports of inpatient encounters where a substance-use problem was suspected (124 unique patients). In 87 per cent of the reported cases, the physician felt managing the addiction was not within their scope of practice. In 98 per cent of cases, they felt the patient would benefit from an addictions specialist consultation. Further complicating matters is that few medical schools offer training in addictions medicine, leaving a significant unmet societal need. START's goals include facilitating transitions of care from inpatient to outpatient, connecting patients with community treatment programs, providing specialized and consistent inpatient care plans including pain and withdrawal management, methadone or buprenorphine/naloxone treatment when appropriate and educating hospital staff and medical students. These are all missing pieces from our current response to the unfolding crisis. What has happened since Crystal's death? At least two more patients have died from accidental overdoses in our hospital.